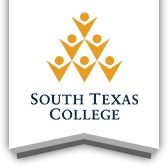 Texas Real Estate Commission (TREC), approved provider of courses in McAllen, Texas. We offer the proper trainings needed for students to help them obtain their Texas Real Estate license. Prepares you for a job as a real estate agent. This is one of six courses required by the Texas Real Estate Commission to be able to sit for the state licensing exam. Topics include an overview of licensing as a real estate broker including introduction to modern real estate practice and the Texas Real Estate License Act; distinctions between personal and real property; titles to and conveyance of real estate including concepts and responsibilities of home ownership, real estate contracts and how home ownership is held; ethics of practice as a license holder including real estate brokerage and law of agency and listing agreements; federal, state and local fair housing laws; legal descriptions; and deeds, encumbrances, and liens including interest in real estate. Prepares you for a job as a real estate agent. This is one of six courses required by the Texas Real Estate Commission to be able to sit for the state licensing exam. Topics include an overview of real estate mathematics; appraisal including value and pricing a property; finance and regulations including financing principles and control of land use; licensing as a broker or salesperson including specializations and property management; ethics of practice as a license holder; titles to and conveyance of real estate including investments, leases, estates, transfers, and titles; deed, encumbrances and liens; and closing procedures. Prepares you for a job as a real estate agent. This is one of six courses required by the Texas Real Estate Commission to be able to sit for the state licensing exam. Topics include contracts for VA, FHA, conventional, and owner financed; term contract; the essential elements of a valid contract; the difference between VA, FHA, and conventional contracts; remedies for breach of contract; and how a contract may be terminated. Prepares you for a job as a real estate agent. This is one of six courses required by the Texas Real Estate Commission to be able to sit for the state licensing exam. Topics include agency concepts, seller agency, buyer agency, and clarifying agency relationships; relationship between principle; authority of agent; fiduciary and other duties of an agent; listing or buying representation procedures including representing more than one party in a transaction; termination of an agent’s authority; employment law and issues; and deceptive trade practices and consumer protection. Prepares you for a job as a real estate agent. This is one of six courses required by the Texas Real Estate Commission to be able to sit for the state licensing exam. Topics include monetary systems, primary and secondary money markets, sources of mortgage loans, federal government programs, loan applications, processes and procedures, closing costs, alternative financial instruments, equal credit opportunity laws affecting mortgage lending, Community Reinvestment Act, and the state housing agency. Prepares you for a job as a real estate agent. This is one of six courses required by the Texas Real Estate Commission to be able to sit for the state licensing exam. Topics include promulgated contract forms, which shall include but is not limited to unauthorized practice of law, broker-lawyer committee, current promulgated forms, commission rules governing use forms and case studies involving use of forms. Provides education requirement for license renewal. Topics include property management, marketing, and appraisal.